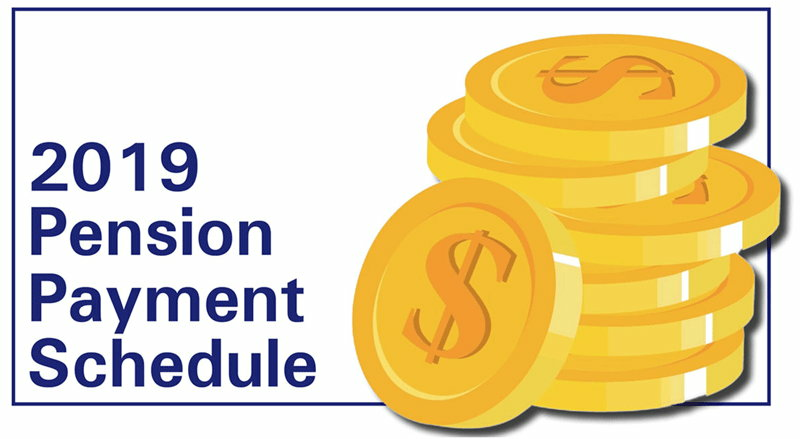 Pension checks for retired teachers will be the first day of the month in 2019. For teachers receiving checks by mail, they are sent before payment date, but delivery date is not guaranteed. If the first day falls on a weekend, payments will be mailed on the last business day of the previous month. Direct deposits are made on the same day as the payable date. For more information, please contact the Indiana Public Retirement System office, please call (844) GO-INPRS or visit their website.